When I sent a reminder email last weekend saying that it would be an “historic weekend” at Seneca Creek, I had no idea what that would come to mean. As it turned out, we made more history than we really wanted to! 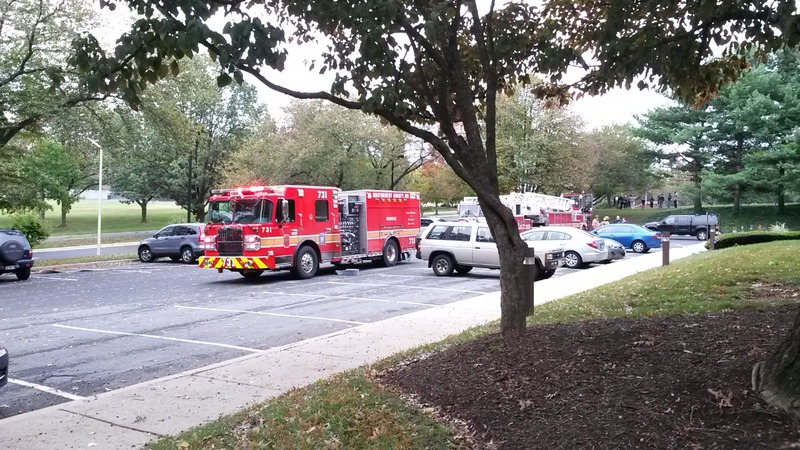 In case you missed it, we had a disruption in electrical power to the building. We lost partial power (including sound and lights in the auditorium) halfway through the sermon at the 8:30 gathering. We finished in the dark. Then we evacuated the building, due to overheating electrical equipment, and the smell of smoke. At around 11:00 we started getting power back on, and decided to move ahead with the 11:30 gathering. However, power was only PARTLY back on. The power to the sound and lighting in the auditorium was NOT on. So we had acoustic worship music, and a preacher who had to TALK REALLY LOUDLY up until the last ten minutes of the gathering. By then our team had reconnected with PEPCO, who came back to the building. They discovered that the source of the problem was a bird that had gotten tangled in their power lines, and disrupted power coming to our street. Once PEPCO fixed that, we were back in business. WHEW! So what we THOUGHT would be our first Sunday with three separate gatherings, turned out to be only two, separated by a building emergency. Thank you to everyone who helped us navigate the unexpected situation. (Too many to list here.) And thank you to all of you who were flexible in volunteering, changing your schedules, and more. And a huge thank you to the team who helped get our power back on! What a testimony to the Body of Christ working together, using our different gifts and skills. I offer a sincere apology to any of you who were frustrated or disappointed by the changes. I know there were even some first time guests who must have been totally confused by what happened. We pray that we don’t have to repeat this situation again. Now…this weekend we’re going to try again to start our three Sunday gatherings, at 8:30, 10:00, and 11:30. It will be historic…hopefully for that reason ONLY. I’ll see you then! Posted on October 8, 2015, in Uncategorized. Bookmark the permalink. 2 Comments. Just want to remind you that the “power” never really goes out of the Lord’s church. You might lose electricity once in a while but never the power.